Just like other open source software, GIMP allows you to do anything you want, including changing the theme. Just in case you are a former Photoshop user who just made a switch to GIMP, you might want to turn your GIMP to look like Photoshop to ease your adaptation process. 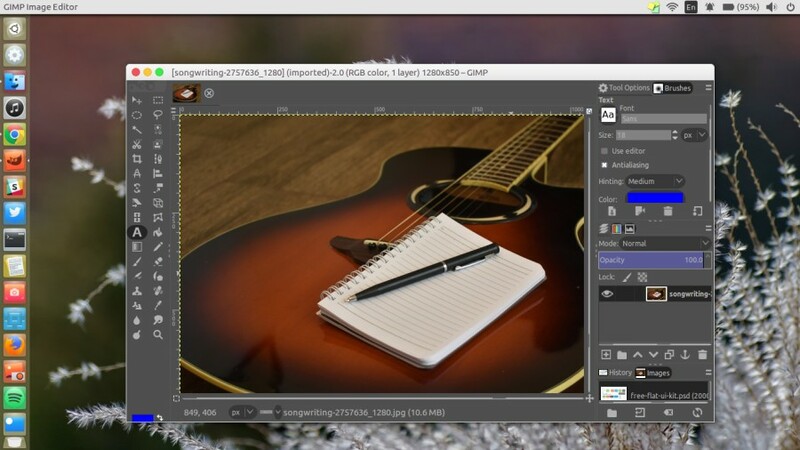 This article will show you how to install new GIMP theme in Ubuntu, but you also apply the methods on Windows and macOS. The key of installing GIMP theme is by copying the folder of the theme you want to install to “themes” folder which you can find on the installation folder of GIMP. If you need a reference of a site providing GIMP themes, GNOME-LOOK is one of the recommended sites. Before installing a GIMP theme in Ubuntu (and all Linux distros generally), you need to decide whether you want to make the new theme available for all users in your system or just for your self (single user). 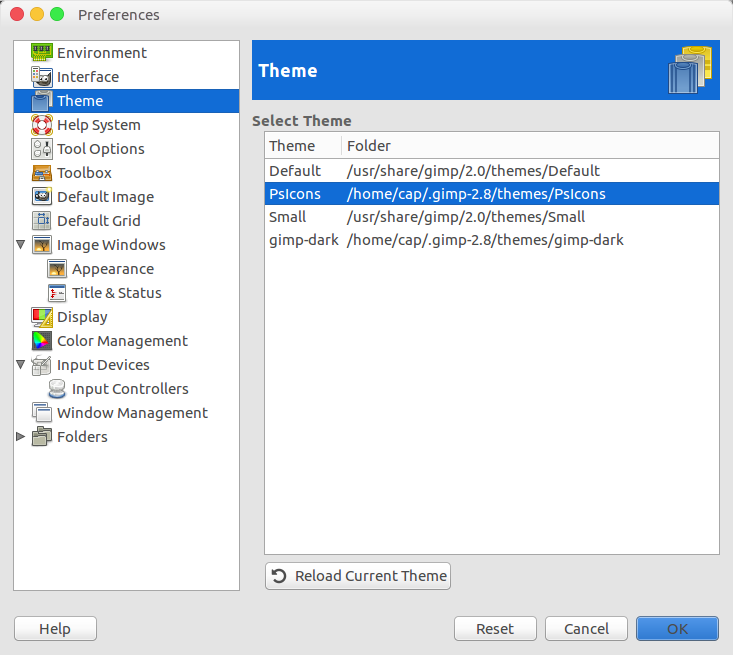 If you want to install the new theme for a single user (your self), you can copy the folder of the theme you want to install to the “themes” folder under the GIMP’s installation folder which you can find on your home directory (you need to enable the “show hidden files” menu on your file manager to see the folder). Below is the structure of the folder. If you want make the new theme you want to install available for all users in your Ubuntu system, you can copy the folder of the theme to “/usr/share/gimp/2.0/themes”. But, you need a root access to do so. After you have copied the folder of your new theme, you can start applying your new theme. But first, you need to restart your GIMP (close and re-open). 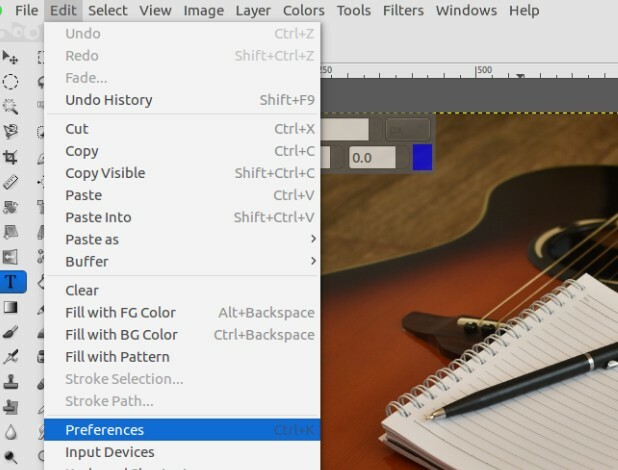 To change the GIMP theme, click the Edit menu and select Preferences. Click the Theme section and select your theme from the theme list. Click the OK button.